Total Service Pro has more than 10+ years of professional residential experience painting in Clifton Park, NY. Exterior Home Painting is one of the areas where we rise above our competition. It’s about the client’s needs. It’s about professionalism. It’s our understanding of the proper way to clean & prepare your home and our understanding of how paint systems and failures work for you right here in Clifton Park. 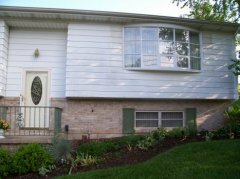 The various styles of homes and siding in Clifton Park are very familiar to us. As are the common paint failures and problems home owners experience throughout the Capital District. Clifton Park is one of our closest service areas for exterior painting and interior painting. As such we are happy to quickly provide you with a detailed estimate regarding your paint project needs. When is it time to consider painting my Clifton Park house? For many a Home Owner Painting their home is primarily for cosmetic reasons – i.e. wanting to update or change the look of the home. However, Preserving or Protecting siding, substrate or wood should also be the impetus or motivation to paint or re-stain your home. Even if the house and deck look fine with a quick glance, upon closer inspection many times there are paint failures occurring that home owners tend to over look, ignore and even put off. In reality it is wise to maintain these surfaces before problems present themselves fully. 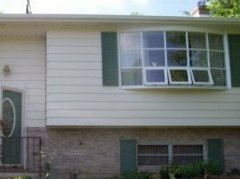 Waiting too long to have your home in Clifton Park estimated or painted means that problems such as peeling, fading, rotting and other damage due to old failed paint systems will appear, making your project that much more difficult and in the end more costly.